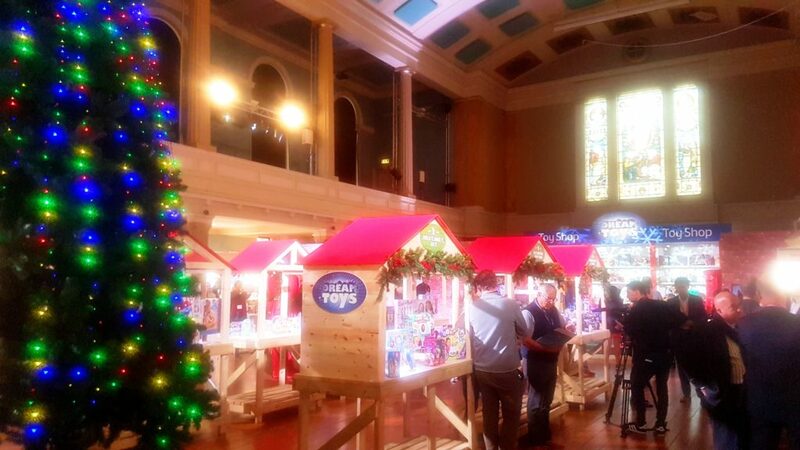 On Wednesday, I went to the Dream Toys UK press show, where they officially announce the 2017 Dream Toys list. 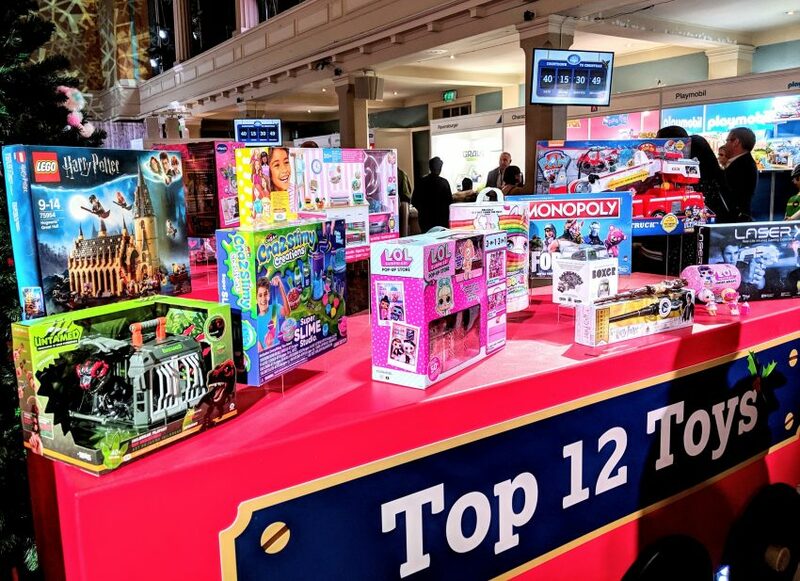 The list is compiled by the Toy Retailers Association to predict the best toys of the year and the biggest Christmas sellouts. I can honestly say, this was the most fun I’ve ever had at a press show. I was surrounded by toys, PR teams demonstrating said toys and life size characters walking around too. There was Christmas food and even Father Christmas himself came to the event. 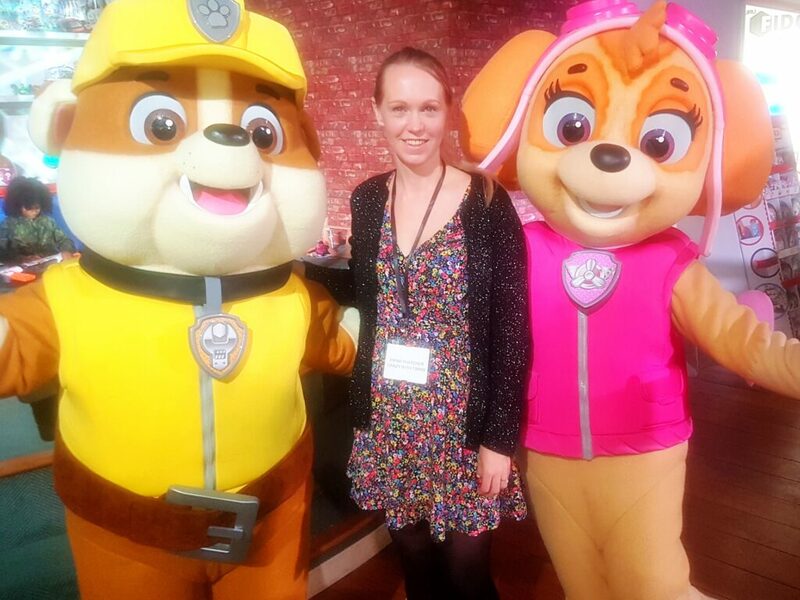 My twins are very jealous that I met Skye and Rubble from the Paw Patrol! You can find the full list of the 2017 Dream Toys by heading over to the official Dream Toys Facebook page. I, however, am going to give you a run through of my personal favourites from the list. The toys most suited to my own children, that have really made me want to go out and buy them for Christmas. If you don’t get the opportunity to see a demonstration model working, I’d definitely recommend trying to find a demo on YouTube because pictures alone, do not do this tiger justice. If you have a child who keeps asking for a pet and you don’t want a real pet, then Tyler is the next best thing. He has various different sensors and responds in different ways to touch and sound (over 100 different sound and motion combinations). I’ve been told that if you ROAR at him, he roars back (it was too noisy in the showroom to test it out). I wish I could buy one of these for each of my children, because despite their ages varying from 1-10 I know they’d all love this toy. I want one myself! However, at a retail price of £134.99, I could only really justify getting one Tyler for the family to share. My twins (5 years old) are Paw Patrol fanatics and Baby Bear (1) steals their Paw Patrol toys at every opportunity. The last few Christmases and birthdays have been dominated by Paw Patrol in this house. The sea patroller is the one thing we don’t have and my girls have already asked for it for Christmas. I unfortunately didn’t get a chance to play with these at the show as there was a queue for the stand, but I was lucky enough to get one in my goodybag. 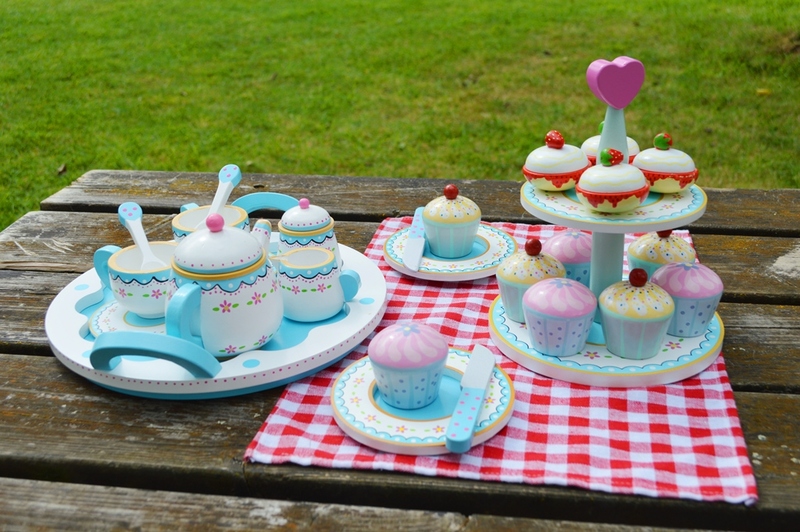 And I have to say, for a £12.99 toy, these are very cute. You put a finger in the nack and their eyes move and their ears wiggle. I’m going to buy a second one and put these in the twins Christmas stockings. The Bush Baby World Dream Tree also made it onto the Dream Toys list and retails at £49.99. 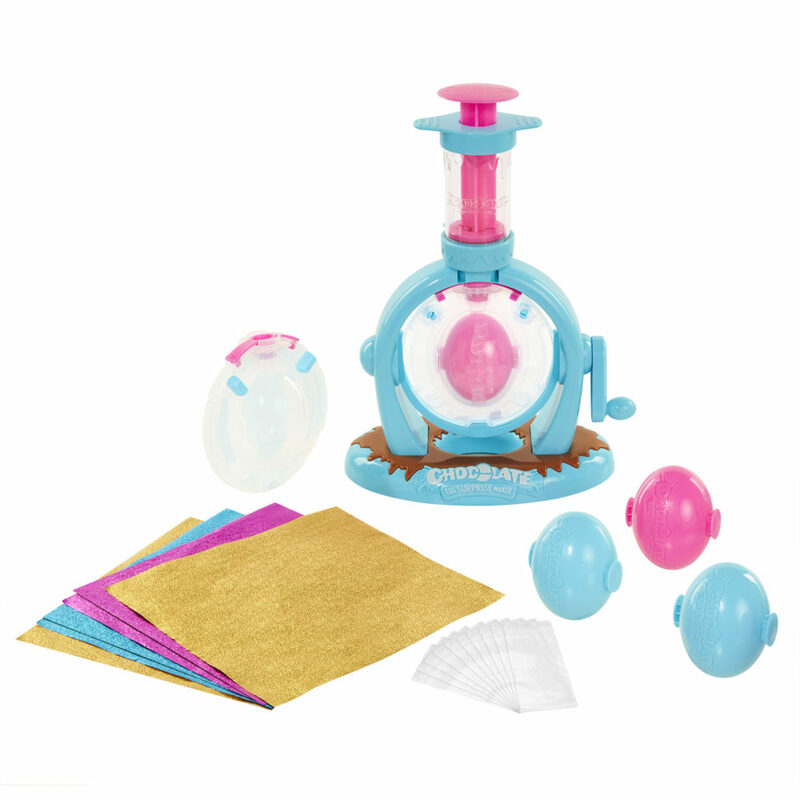 Now this takes the chocolate egg makers of my own childhood a step further. You can put little toys or sweets (not included) in plastic eggs and then coat them in melted chocolate. Set them in the fridge, wrap them in foil and you have your own surprise eggs! This retails at £24.99 and would be perfect for my 10 year old. 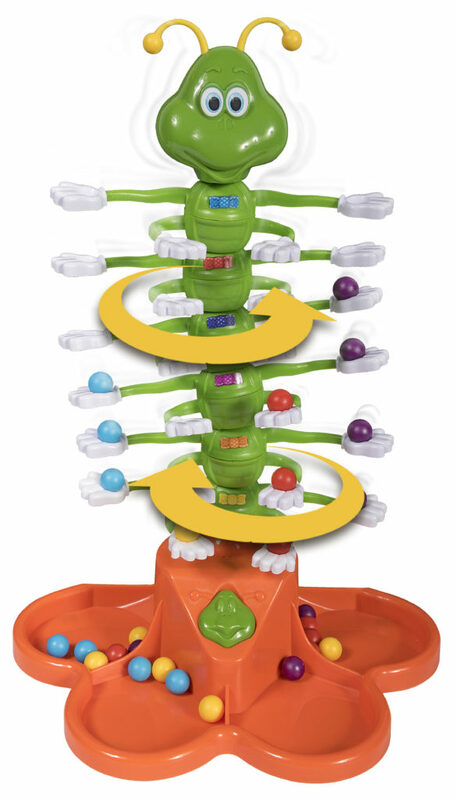 I think my twins actually had a similar toy to this when they were younger. Now though, I think this would be perfect for Baby Bear, who had recently taken an interest in Duplo. At £12.99 this is really good value for money too. Duplo is probably the most indestructible toy I’ve ever bought. 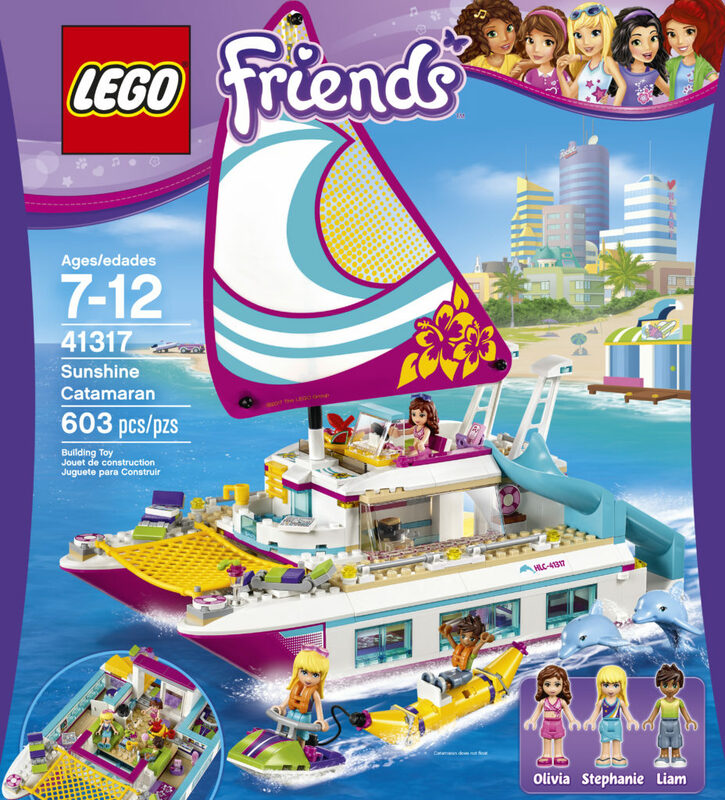 Bunny has a big collection of Lego Friends sets and I guarantee that as soon as I show her the Dream Toys list, this will be the thing she says, “I WANT THIS FOR CHRISTMAS!”. The top deck of the catamaran comes off to reveal the lounge and bedroom inside the cabin of the boat. At £64.99 this will likely be Bunny’s main Christmas present. Hands up who remembers the Giggle Wiggle game the first time around? I remember this from my own childhood and I can even remember the TV advert from the 1990’s! How awesome is it, that in this day and age of technology, that some of the good old favourites have been brought back to life? This one is £24.99 and I’m thinking of buying it before Christmas as a family game to play on cold wet weekends. My mum has a whole attic full of Sylvanian Families. They were my outright favourite toy as a child. It was the toy I asked for for birthdays and Christmas, and I was given set as get well presents when I was on chemo. I love that this toy brand have retained their integrity for decades now and the modern toys still fit right in next to the vintage sets. The Starry Point Lighthouse (£58.99) also projects a starry light pattern onto the ceiling. 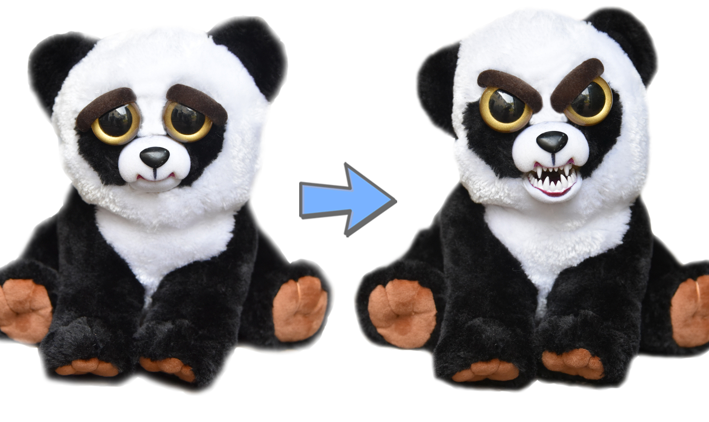 You might have seen a viral video going around, where a little boy is shown a cute cuddly toy, and then as it bears it’s teeth he cries. A bit cruel yes, but once the children know what this toy does, I think it’s actually pretty awesome! My favourite is the panda. It looks so sweet and innocent until it turns “fiesty”. These are made by Re:Creation and retail for £19.99. Please do buy the originals though; there are a lot of fakes online and they simply aren’t as cute or as soft. So those are my favourites. 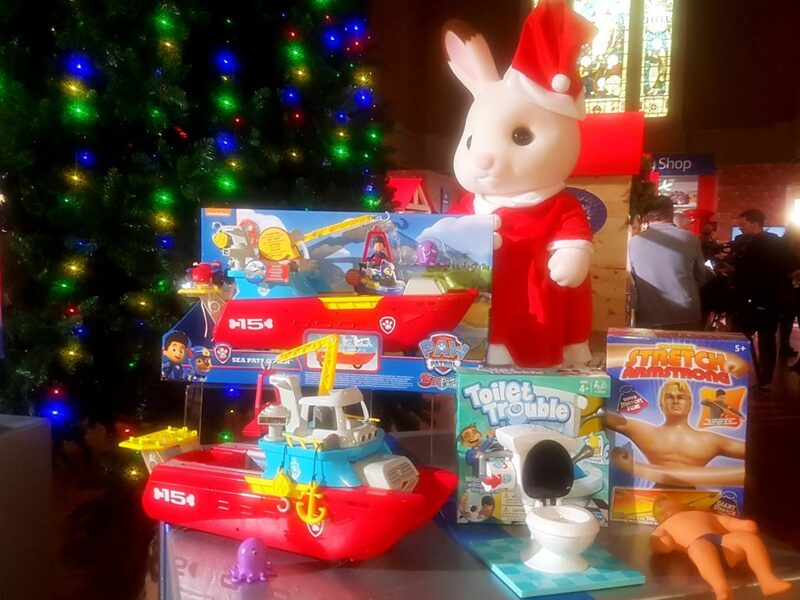 I was also very lucky to take away a goodybag which contains some of the Dream Toys I’ve not mentioned, but which my children are still going to absolutely love at Christmas. I actually gave in and let them have a LOL Surprise each from my goodybag, when I got home from London! 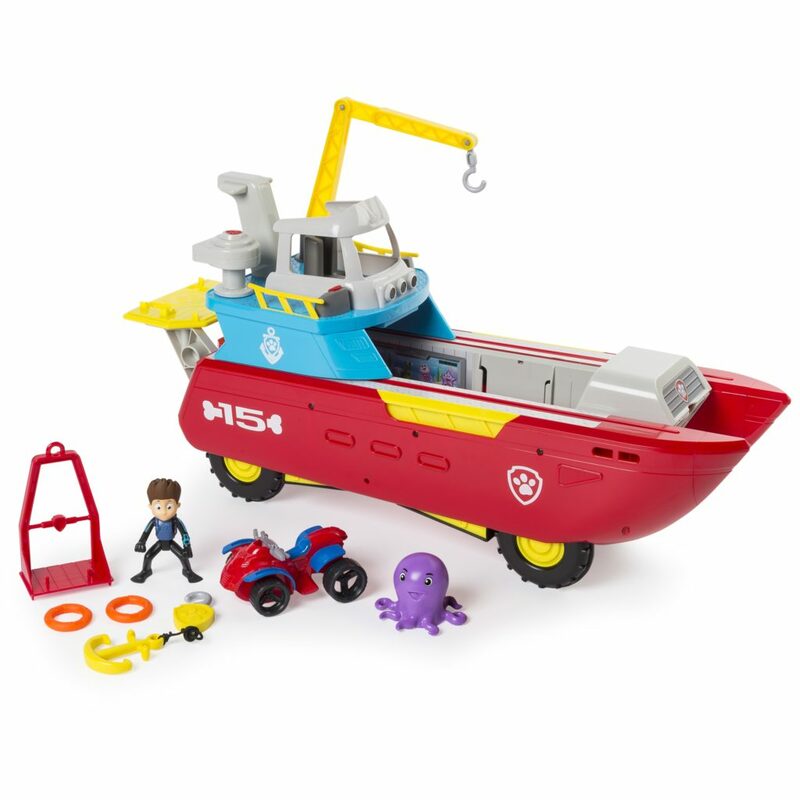 Are you planning to buy any of the toys from the Dream Toys list for your own children? Maybe you already have? 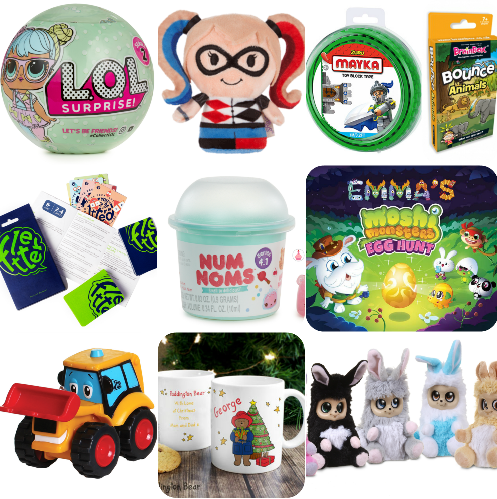 This entry was posted in Childhood, Christmas, Family, Parenting, Reviews, Shopping, Toys and tagged 2017 Dream Toys List, Christmas gifts, Dream Toys, toys. Bookmark the permalink. Hi Emma! My daughter love this collection of bush baby. Selecting toys for her is difficult task for me, you made it easy. Thanks for sharing such a helpful post.